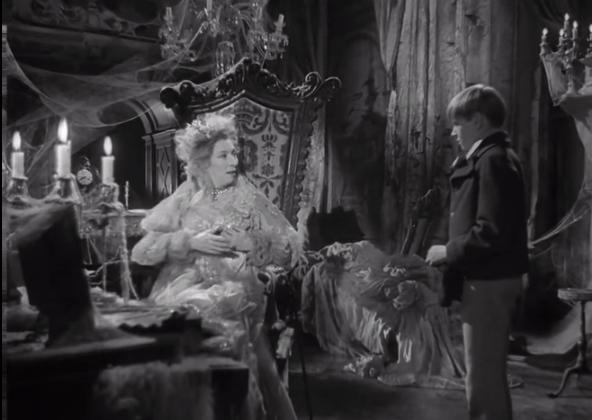 A still from Great Expectations. Filmmaker Guillermo del Toro wants to enhance your goth summer. “Gothic Master Class,” del Toro’s three-film series collaboration with the TIFF Lightbox, launched yesterday with a sold-out screening of Alfred Hitchcock’s Rebecca and continues tonight with David Lean’s 1946 classic, Great Expectations, and on Monday with the Orson Welles-starring 1943 version of Jane Eyre. It’s no coincidence that the filmmaker behind Pan’s Labyrinth and Pacific Rim is making Toronto the site of his moody education. His next movie is the Toronto-shot Crimson Peak, a lush gothic horror romance that has the texture of a higher-budged Hammer horror but borrows heavily from the slow, creeping feel of films like the ones he is presenting: while there are no spooks in these three adaptations, they have a charged atmosphere that is almost undefinable. Del Toro doesn’t just leave it be, though—he dissects that atmosphere in a way that enhances the magic of each film. In his lecture before Rebecca, a fun 20-minute rundown of the genre and what the audience was in for, del Toro talked about how essential architecture is in the gothic romance: while the houses and castles in these films may not exactly be haunted, they become reservoirs of ancient hatreds and memories that can’t be escaped. He also talked about the fairy tale as the common ancestor of horror and gothic romance, and an innocent’s confrontation with adulthood as an essential part of many gothic tales: an element that is especially relevant to David Lean’s adaptation of Great Expectations. The format of the series is fun but controlled: del Toro lectures for about 20 minutes, the film is screened, he lectures again, and there’s another 20 minutes of discussion with the crowd. A veteran of Q and A’s, del Toro knows how to answer a bad question with a fascinating answer, and his rich reading and viewing background is immediately evident when he sinks into a good question. He’s as comfortable discussing Henry James as he is talking about Sam Raimi’s campy The Evil Dead, making it worth your while to stick around after the screenings of these great movies. Tickets for tonight’s and Monday’s master classes are available through TIFF.